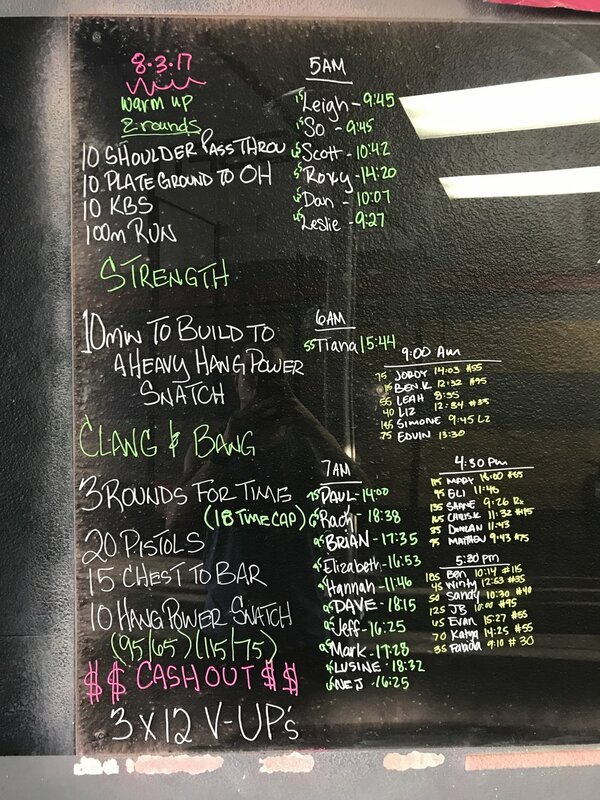 Bring a friend to Crossfit Day is here! 4th round extended to 3 minutes. Go until 75 reps of OHS are complete. Perform this like “Fight Gone Bad,” by rotating immediately to the next station every 1 min, the clock does not stop or reset between stations. 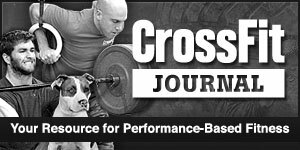 Each partner will spend 30 seconds at each station accumulating reps. Other partner will be resting. Both partners rest during 1 minute rest. Max reps per team is score. * V-Ups will be the movement of the month for August. This ME will be a benchmark that will be retested at the end of next month. One barbell/weight for the entire workout. Split reps as needed amongst team. Must finish all of the reps for each movement before moving on to the next movement. Build over the course of the 5 sets. Followed by . . .